Topics: Goodbye, Camberwell, Wild Horse, Le Dans La, I Want, and Original Makers Club Of Louisville. It is hosted by Google Inc. California, using GSE web server. 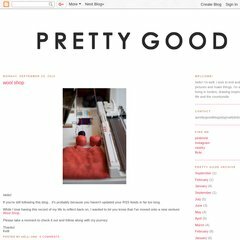 A-pretty-good-blog.blogspot.com's server IP number is 72.14.204.132.